LOS ANGELES, November 8, 2018	(Newswire.com) - Legendary music industry magnate Joe Isgro’s documentary feature is in production. The man credited with revolutionizing independent music promotion and breaking the careers of some of the most iconic musicians of all time is ready to set the record straight. The film is being directed by Martin Guigui (“9/11”, “The Bronx Bull”) and produced by Dahlia Waingort (“Newman”, “Hero with a Thousand Faces”) with Mike Hauser of Stolen Records and Joe Isgro Executive Producing. Isgro's career began as a local promotion director for Decca Records in the early 1970’s and went on to work for Motown Records in 1976 as Regional Director of Promotion responsible for breaking and charting Top 40 Hits for Diana Ross, Stevie Wonder, Marvin Gaye, Smokey Robinson, The Temptations, Lionel Richie, The Jacksons and The Commodores. 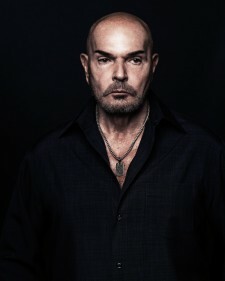 When Isgro decided to go independent he became one of the most powerful men in the music industry, and perhaps in its history, credited with making the careers of Super Star Artists including Elton John, Madonna, Michael Jackson, Pink Floyd, The Who, Billy Joel, Culture Club, Neil Diamond, Journey, Dionne Warwick, Hall & Oates, Barbra Streisand, The Rolling Stones, Supertramp, Kenny Rogers, Bruce Springsteen, Chicago, Patti LaBelle, Phil Collins, Rod Stewart, U2, David Bowie, George Michael, Janet Jackson and Paula Abdul. In September 1990 a massive FBI driven investigation that involved all the major record labels and the most powerful men in the music business resulted in Isgro being prosecuted on 57 counts of payola-related offenses, including racketeering, mail fraud, money laundering and obstruction of justice. The superior court case was dismissed on grounds of "outrageous government misconduct,” setting a precedent and the stage for a classic iconic story that has never been told. “I feel the time is right to share my story, the way it factually happened,“ commented Isgro from his home in Los Angeles.